Since 1950, obesity rates in the adult population in the Western World have increased from 13% to 35%. Adolescent obesity is sadly not far behind, with 18% of teenagers being obese. Aside obesity, 75% of the US population is considered overweight (BMI 25~30). Excess weight increases the risk of cardiovascular diseases, cancer and brain diseases. Obesity and overweight have become the epidemic of our time and we are in fact living in a time bomb. Higher life expectancy achieved through medicine and pharmaceutical approaches are “patches”, and as more of the obese population reaches the old age, the higher the pressure in our medical system. Combine this with the inverted population pyramids seen across the Western World, with more elderly people benefiting from the health system than those contributing in their working age with their taxes, and we are facing a social disaster. Once a while I get told that whatever it is I do to stay fit, must be working. It is true that my routine has helped me regain fitness, cut weight, and improve my sharpness and focus at work. It works for me, and maybe could work for others. So in the spirit of sharing, here it is, my life recipe, all in, raw ingredients and method. When I started my professional life, now over two decades ago, I remember an Andersen Partner lecturing us in St Charles, Illinois, that our work life was to be marathon, not a sprint, and that we should pace ourselves for the long run. I have learnt to appreciate this more and more as I get older. This weekend I learnt about watering breaks, in this marathon called life. Back in 2012 we relocated to Beijing, China, triggered by my work. It was a great leadership opportunity to be a “pig”, not a “rooster”. One of the issues with being in China was managing a global team across timezones. Whilst we lived in London, dealing with California meant staying a bit late at work. You would expect the same for California teams, given that I was behind them in China. But no, teams in California don’t stay late, nor they come early. Rather they expect the rest of the world to adapt to the universal Bay Area timezone. Anyway, the issue being in China was lack of overlap with the California team. So, I changed my schedule, and I began waking up by 4:30am to start my meetings with Sunnyvale by 5am (2pm in California). I would carry on for 2 hours, till 7am (4pm), have breakfast with the children, bring them to the school bus, do a swim, and hop in the car by 10am (6pm), when I would do all my one-on-one meetings on my 1 hour ride to the office. This routine mixing work, sleep and sports, which started as a necessity, ended becoming a healthy habit with many benefits. Tired of my Wahoo TICKR Run failing to capture correct HR data in now almost every outdoor run, I decide to try something else. 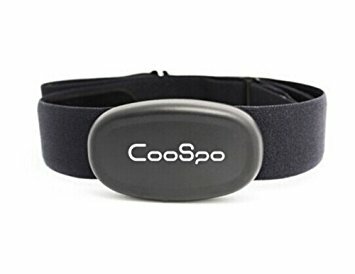 But given my positive experience with the Milestone Pod, instead of going for the usual suspects from POLAR, Suunto or Garmin, this time around I decided for a sub $30 Heart Rate Monitor and got a CooSpo. How did it fair?